Whether at work or at play, mobile capabilities are integrated into customers’ day-to-day lives, and now they want to expand it to every shopping experience. 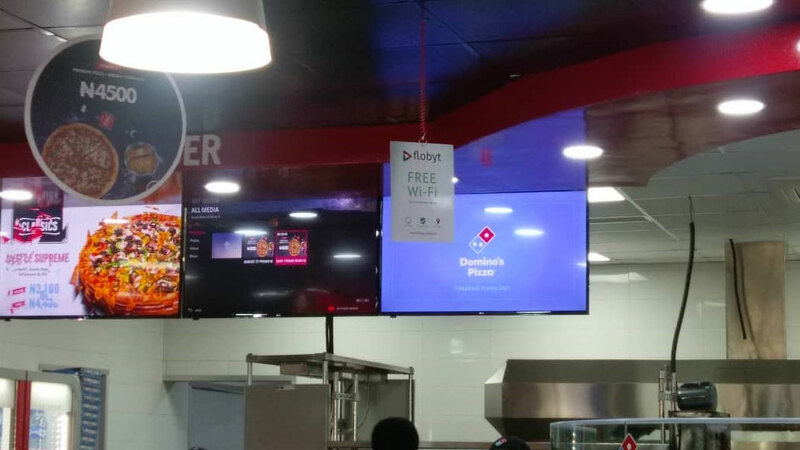 That is why Eat N’ Go (owners of Domino’s Pizza, Pinkberry, Coldstone) partnered Flobyt to provide “FREE Wifi” in all their outlets across Nigeria to give more mobile experience to their customers while enhancing their business in such a way that will make them serve their customers better. No wonder they are leading other brands. UBA, a leading Bank in Africa has done the same, creating a unique customer experience in over 17 higher institutions powered by Flobyt Free Wifi. As more businesses offer free WiFi, customers are starting to expect it. WiFi is moving away from a luxury perk to an expectation. Brands that ignore this option today will struggle to keep up tomorrow. Even more, while some restaurant owners think free WiFi only benefits the customer, it’s actually a service that can boost restaurant revenue when used strategically and that is where Flobyt comes in. Flobyt does not just offer free wifi, we ensure our partners have access to strategic insights that helps their business grow. Offering free WiFi gives Quick Service Restaurant (QSR) owners a competitive edge by providing fast and reliable internet access to your customers for social networking, checking emails, online shopping, and surfing the internet at all times. This can have a direct influence on building customer loyalty, resulting in increased sales. Here are four reasons why offering free WiFi to your customers can help your business. The fastest way to drive foot traffic is putting up a sign that brings awareness of free WiFi. This allows your business to attract new customers while enticing existing customers come back. In addition to visual recognition, most consumers use apps like Flobyt Wifi App and Google Maps to find businesses, selecting venues that offer amenities like free WiFi. 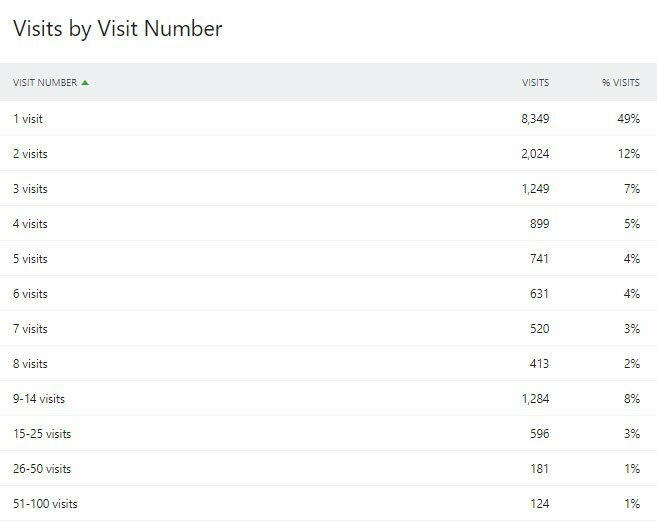 Whenever customers enter your store/restaurant and log into our free WiFi, Flobyt syncs up with them as returning visitors and our analytics tools can document their presence. Within a few days, QSR owners can understand exactly when the peak hours of their business are for better staffing. On its surface, this information saves your restaurant money, as you won’t staff employees during low traffic periods. However, this data can actively increase sales in a restaurant when you staff the right number of employees in each outlet. Properly staffed restaurant create better customer experiences because people don’t have to wait in line or struggle to keep the attention of your overworked team. This means your customers are likely to spend more on their current visit and return again in the near future. 3. Customers will spend more time in your store. One of the biggest advantages of offering free WiFi to customers is a no-brainer – increased time spent in your store. WiFi access helps customers stay productive and connected, giving them no reason to rush the shopping process. According to Business Insider, more than 62% of businesses reported that customers spend more time on their premise when WiFi is offered. Instead of examining the scenario as customers simply hanging around, consider using the opportunity to engage new customers and discover their needs. Flobyt does not just calculate how many customers are in your restaurant, our analytics from free WiFi also maps the frequency of your visitors. What percentage of your visitors are regulars who visit your store daily or weekly? What percentage of new customers return? Answering these questions can help your brand filter your customers into target buckets for strategic marketing efforts. With insights into visitors’ frequency, the owner could use seasonal specials and deals to upsell loyal customers, while offering discounts to the less frequent customers to bring them back in. They might even discover problems with customer retention rates in certain outlets. With Flobyt Free WiFi data, the owner can increase sales in a store/restaurant through better audience targeting. [BONUS TRACK:] 5. Mobile marketing at the hands of customers. Flobyt Free Wifi’s captive portal allow you to promote your business before customers even sign in on their smart devices. You can customize the landing page to attract customers and share special offers. Typically, there is an opportunity to brand our network with a creative, custom name, like “Eat N’Go – Flobyt Free WiFi.” Or “UBA Campus Connect – Free Wifi”. Additionally, in the age of social media influencers, customers can do marketing for you through social networking. By allowing customers to share their free wifi login for benefits. The financial benefits of providing free WiFi significantly outweigh the investment, but restaurant owners and managers need to take advantage of the Flobyt Business Tools available to them. 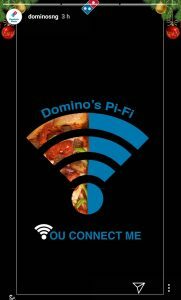 Now is the time to consider adding free WiFi to your store/restaurant. If you’re ready to discuss your options, set up a call with one of our specialists to start growing your business.